Year 2014 is coming to an end and for the first time in fourteen years Sweden has had a team (Malmö FF) in the group stage of UEFA Champions League. There is still a lot to do, but could this year be the start of something great or will it (perhaps more likely) take years until the next Swedish team plays in the group stage of Champions League again? I l ike to watch and cheer for Swedish teams in Europe (I am one of those (melodramatic) fools that like all Swedish teams in Europe) and I don’t want to wait. So, until it happens again I rewinded the (Youtube) tape and took a look at the splendid IFK Göteborg (Gothenburg) team from the 1994-1995 Champions League season. In the 1980’s and early 1990’s IFK Göteborg had very strong teams and between 1982-1993 they won the UEFA Cup twice, reached the semi finals of the European Cup/UEFA Champions League twice (if you could call the 1992/1993 season as a semi final, there were really none that season) and also reached the quarter finals twice. I remember much of this fantastic years for the club, but my absolute strongest memory were from my mid teens and the 1994-1995 season where IFK Göteborg managed to win an impossible Champions League group with Barcelona, Machester United and Galatasaray. This was of course a great surprise, but at the same time, IFK Göteborg had seven players in the Swedish 1994 World Cup squad, including Magnus Erlingmark. 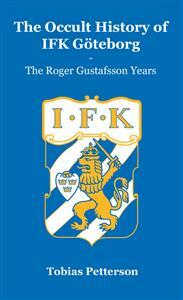 A lot of credit must also be given to the manager, Roger Gustafsson. The first home game was against famous FC Barcelona and after a 2-1 win (goals from Magnus Erlingmark and Jesper Blomqvist) in Gothenborg the most optimistic supporters started to believe in something big. After another Magnus Erlingmark goal, IFK Göteborg had four points in three matches (this was before a win was earned with three points) and the chances to qualify for the next round were suddenly not totally out of reach. But with two away games and a home game to Manchester United to go, few still thought that the Swedish team could stand a chance against Barcelona and Manchester United. Magnus Erlingmark headed the only goal again and IFK Göteborg got a very convincing victory in a very hard away game. With two games to go they had three wins in four games and a very good opportunity to qualify for the next Champions League round. The two remaining games were tough ones though. 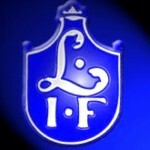 IFK Göteborg 3. Manchester United 1. Wow! Jesper Blomqvist was a star in Gothenburg and Sweden before this game, but after one goal, one assist, and one created penalty he had also made a big name of himself in Europe. The IFK Göteborg supporters couldn’t choose a better game for their banner announcing that Giggs is talk Blomqvist is action! With one game to go IFK Göteborg had not only qualified for the next round. They were already group winners before FC Barcelona, Manchester United, and Galatasaray! Read about the game here (in Swedish). Away to FC Barcelona, who had a lot to play for, IFK Göteborg couldn’t get anything, could they? Well, despite that they didn’t have much to play for they managed to get a 1-1 draw at Camp Nou. The quarter final was against Bayern Munich and after 0-0 in Germany, Bayern Munich managed to reach the semi final (with the away goal rule) after 2-2 in Gothenburg. 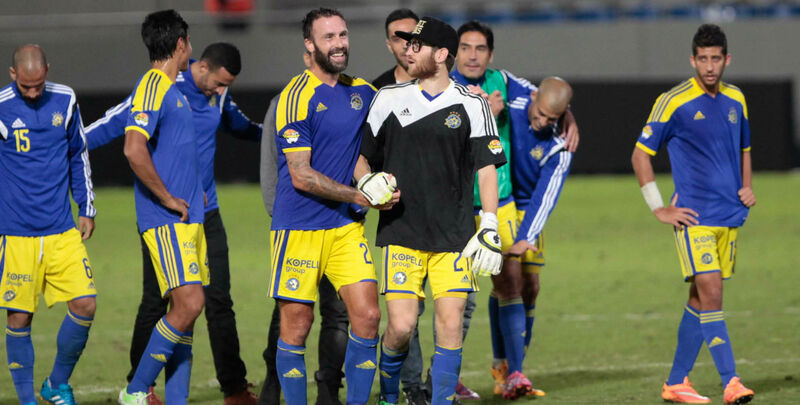 Maccabi Tel Aviv got back after the turbulent derby against Hapoel with a win against Maccabi Netanya. The game included two goals from Rade Prica and two ´´great” saves from right fullback and captain Sheran Yeini (who had to play as a goalkeeper after a late and stupid red card for keeper Juan Pablo). Watch the highlights from the game below and listen to Rade Prica here. Sheran Yeini is only 27 (soon 28) years of age, but he has already more than 300 appearances for Maccabi Tel Aviv’s first team. He made his debut at New Years day in 2005 and has stayed with Maccabi throughout his career. 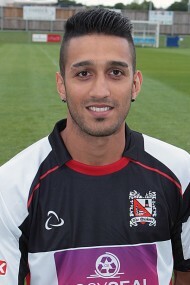 He is originally a central midfielder, but has played in most positions in the midfield and defence. And now Sheran Yeini can also call himself a goalkeeper! Sheran Yeini, Rade Prica, and team-mates celebrate. I was listening to Offside’s podcast the other week. 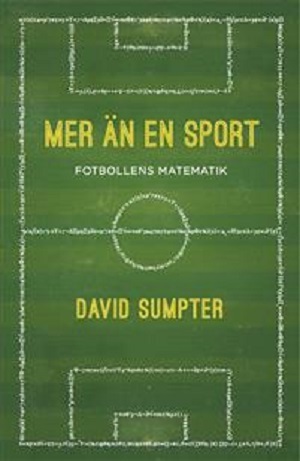 Johan Orrenius and Anders Bengtsson discuss (in Swedish) everything and nothing about football, media, journalism, and sports writing. In this particular episode they started to talk about former Aston Villa, Watford and England man Graham Taylor and the classic documentary An Impossible Job, which is also known as Do I Not Like That. In the documentary, the England team was followed through the qualification stage for the 1994 World Cup. 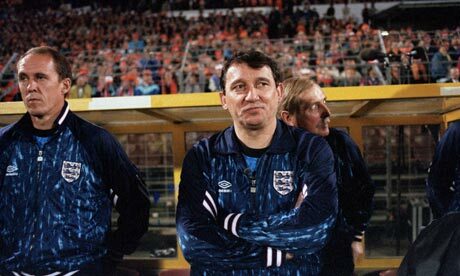 England failed to qualify and in a big part of the documentary the manager Graham Taylor is portrayed from behind the touchline. I’m not sure if the documentary is a magnificent piece of work, but it is remarkable that the film-makers could come so extremely close to the England team and Graham Taylor, and it is definitively worth to watch. The documentary has been hailed as a comic masterpiece and people have used it to make fun of Graham Taylor and they have some right to do so. His comments during the game is amusing and he gave plenty of oneliners. And, perhaps most astonishing, the classic press conference where Taylor completely ran over Rob Shepherd is hilarious (and a bit sad). Watch 62-66 minutes in the full documentary below or hear Shepherd discussing it here. But I do think that it is a bit unfair to make too much fun of Taylor. Despite some ridiculous comments now and then I also think that Graham Taylor shows a lovely and loving side. I had plans, so many plans, to write posts and to study heavily pre World Cup, but – as always – time flies and here we are, a couple of hours before kick off in the opening game. The least I could do is to write a post about my thoughts. Who will win the tournament? Who will qualify from each group? I sat down and guessed the result in each game. There will probably not be as many teams with full points (or no points) after the group stage as my picks suggest but here is what I came out with. The Brazilian team is strong and the home advantage will probably help them and I believe that they will win the last two games in the group. But I am not that certain that their attack is good enough in the long run. Moreover, is the midfield top-top-world-class? And what about the goalkeeping situation? For me, the Croatian midfield with Modric and Rakitic and others is the best in Group A and Brazil might struggle to beat Croatia. I would say 1-0 in the opening game, but if you are into betting I think that Croatia +1.25 have good value. The prices are way above 2.00 at the moment and that is good (Pinnacle Sports have 2.33 and Bet365 2.25)! I considered an under bet earlier but the market seems about right for me. Mexico and Cameroon have to fight to get anything out of this group. I think that Spain have the best squad in the tournament and that they are a bit undervalued at the moment. If Diego Costa is fit enough Sain is my pick. Historically, European teams have problems to win World Cups in South America (and vice versa), but I do not think that this factor is very important. It was long ago since a World Cup was played in South America and I do not believe that this factor is as important today as years ago. Australia’s squad is very young and inexperienced and they should not have any chances in this tough group. It is up to the Netherlands and Chile to compete for the second place. The question is if Chile´s offensive qualities will get them a place in the final stages. I picked Netherlands by goal difference, but here it could really go either way. Perhaps the most interesting group beforehand with four rather strong teams from different areas and football cultures. I have the feeling that Greece will miss out, even though nil points is perhaps too harsh. Ivory Coast could also be one of the dark horses in this tournament. 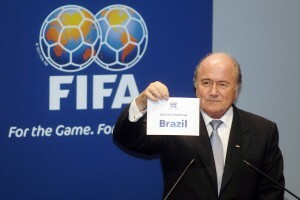 After failed to qualify from very tough groups in 2006 and 2010 they now have the possibility to go through. With players like Yaya Toure, Gervinho, Kalou, and Drogba they will be hard to defend against. Another very interesting group. Here I believe that we will see a hell of a lot of drawn games. I took draws in each game except Italy – Costa Rica. Costa Rica are not bad and Celso Borges from AIK (in Sweden) is good enough to play in a top league. England are not bad, but I think they will find it difficult to win games and miss out in goal difference against Uruguay who will score (and concede) more goals. France might have found the formula that made them world champions in 1998. Their squad is top class and they have found themselves in a rather easy group. Watch out! Ecuador are perhaps better than most think and I think the will go through after a win against Honduras and draw against Switzerland. Iran were unlucky when they got two excellent teams (Agentina and Bosnia) and a good team (Nigeria). Argentina are one of the main favourites to win the complete tournament and I believe and hope that Messi has found the form and prove that he is one of the best ever. Argentine will perhaps play Spain in the semi final and if that happens I think that the winner will take the gold medal. Bosnia are playing their first World Cup, but the new team could be one of many dark horses. Watch out for Nigeria though. USA have to hope for a point at all. Belgium are extremely hyped before the tournament and they have an extremely strong team. The question is if they can cope with the expectations. The players play in the largest clubs in Europe and should have the quality and experience to go through, despite lack of experience on the international level. Russia are hard to predict. All the players play in the national league, but I believe that Algeria and Korea are too weak and guess that Russia will join Belgium to the final stages. Spain – Germany: Spain – Spain are the World Cup winners!!! 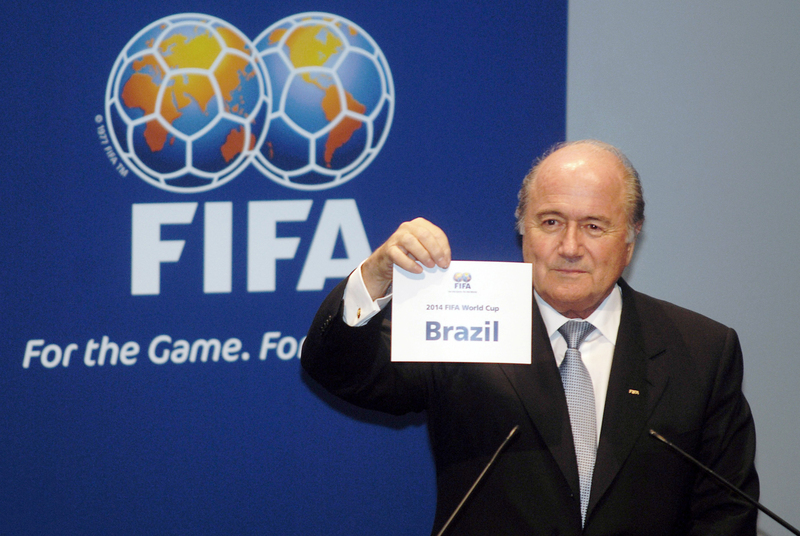 The World Cup in Brazil is coming up and it is time to start writing blog posts again. The World Cup is the venue for the big stars from the biggest football countries and clubs. But smaller countries with less known players that might get a breakthrough are also involved. Therefore, I’ve decided to study and write about a few players that I didn’t know much about before the tournament. The first player out is Fabrice Olinga from Cameroon. When I saw the name Fabrice Olinga in Cameroon’s squad I instantly knew that I have seen the player before, but I had no idea from where. Olinga plays for S.V. Zulte Waregem in Belgium and it couldn’t been from there I recognised him and his name, could it? 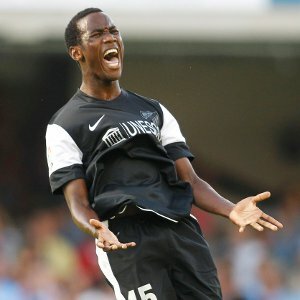 No, after some research I discovered that Fabrice Olinga has played in Spain for Malaga (and in Mallorca’s youth team). He recently turned 18 and is in fact the youngest player in the World Cup. He made his debut for Malaga already under Manuel Pellegrini in the 2012/2013 opening game away to Celta Vigo. He came on as a substitute and scored the only goal in the game. He was 16 years and 98 days at the time and became the youngest ever goalscorer in La Liga! Olinga came to Mallorca from the Samuel Eto’o Private Foundation – a non-profit organisation that encourages education and the protection of children in Africa. It was set up by Olinga’s world famous countryman in 2006. The organisation scouts young talent from all over the African continent, but predominantly in Western Africa and mostly in Cameroon. A few selected players get sent to Europe for games with two of Samuel Eto’o’s former clubs, Mallorca and Barcelona. It was on such a journey that Mallorca discovered Fabrice Olinga’s talent. After Olinga’s dream start in Malaga and La Liga he only managed to appear in nine more first team matches and scored no more goals. Malaga have tried to tie the young forward up for a long term deal, but he has refused to sign a new contract and in January 2014 he was sold to Cypriot side Apollon Limassol, but he was instantly loaned out to Zulte Waregem. In seven first team appearances in Belgium he hasn’t managed to score so far. Fabrice Olinga still has a long way to travel in his planned journey to the stars and is far from the first eleven in Cameroon’s national team. He has appeared on the pitch in seven games and managed one goal (of course in his debut, against Cape Verde in October 2012). Olinga is likely to spend the 2014 World Cup from the sideline, but he will probably learn a lot from the experience. Despite a recent dip in his career he is still a great talent and he might have a bright future ahead of him. If you understand French and/or Spanish you could always follow Fabrice Olinga on Twitter. The Ravel Morrison story: Time for Allardyce to resign? 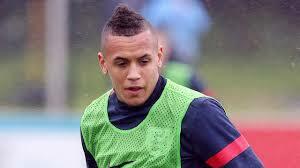 Ravel Morrison is said to be a great talent with a promising future. I haven’t seen him much at all and I cannot judge his abilities. Sam Allardyce reputation as a manager is perhaps not the best (to say the least), and as a man it is probably even worse. We have all heard how he favours players that have Mark Curtis as their agent (at the moment Curtis either represents or has links with Allardyce, Kevin Nolan, James Tomkins, Jack Collison, Matt Jarvis, Andy Carroll, Jussi Jaaskelainen and Adrian). The connection between Allardyce and high transfer fees for Mark Curtis’ players seems obvious. I have heard about it before, but I haven’t really paid this any attention. Now it might be time to react! The Guardian reports that Ravel Morrison has been out of favour since he did not want to sign for Mark Curtis. If anything of this can be proven true a lot of people have to take their responsibility and resign! First of all Sam Allardyce. West Ham’s fees to agents have have been high the last couple of seasons. Is there a connection to Sam Allardyce? Ravel Morrison seems to join QPR on loan. I certainly hope for a great success and that his career will kick off tremendously from now. More, and published a bit earlier than The Guardian, about the Ravel Morrison/Sam Allardyce/Mark Curtis-story can be found here. Beitar Jerusalem – Maccabi Tel Aviv 1-2, The full game! Darlington, Sweden, and Djurgården won! Will LIF win? It has been a great start of the weekend for ’my’ teams overall. Darlington were 0-2 down at half time against Clitheroe but turned around to a 3-2 win after two late goals from Amar Purewal. Darlington now have four wins in five games and things look good in the Evo-Stik First Division North. 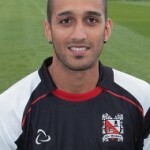 Amar Purewal has a good goal scoring record for Darlington and I would love if he will stay and help them to move up to Evo-Stik Premier Division. Darlington now have two straight home games at Heritage Park in Bishop Auckland (against teams in the lower half of the table). With two wins in these games Quakers have put themselves in a very good position for the rest of the season. Sweden got a very important win in Ireland (2-1) after goals from Johan Elmander and Anders Svensson. It was a rather crappy game in my opinion, with way too many unforced errors from the Swedish players. However, I think Sweden were much better than Ireland and got a deserved victory. However, they really need to decrease the number of missed passes. 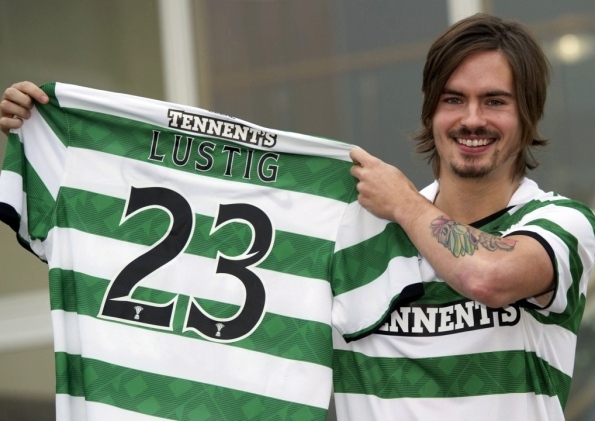 Mikael Lustig had a few, but also other players had some horrendous misses. An interesting fact is that full back Lustig has been involved in six of twelve goals so far for Sweden in the qualification. Next Sweden travel to Kazakhstan and a victory is of course a must. In that case they have a great chance to take the second position in the group and getting a chance to qualify to the World Cup in Rio. Lustig seems to have injury problems and I guess that he won’t start against Kazakhstan. I would play with Andreas Granqvist since I do not believe that Adam Johansson have the quality to start for Sweden. Johansson is a decent defender, but his season so far has been far from great. Granqvist is a defender with attacking qualities and I think he will do well as a full back. Moreover I would like to see Kim Källström back in the starting eleven. I guess I am the only Swede that thinks Kim should start, but I believe that he still is an excellent player and I think we need his offensive qualities against Kazakhstan. Djurgården’s ice hockey team has done well in European Trophy and won against Brynäs yesterday. I hope that this will be the season when Djurgården get things together again and qualify for the top division in 2014-2015. Today Ljungby IF have an important game away to BW90. 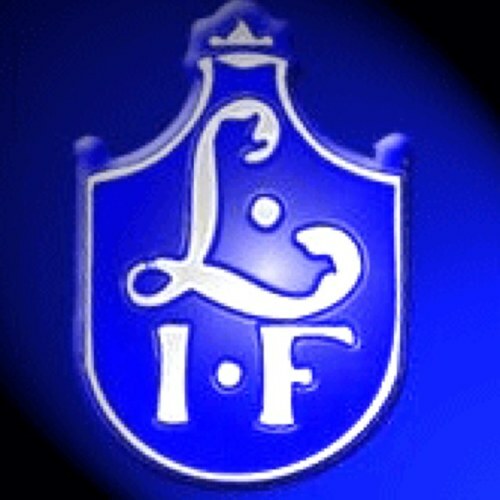 LIF’s form is awful and I really hope that they turn around their loosing trend today.